Love is a tricky tricky thing. 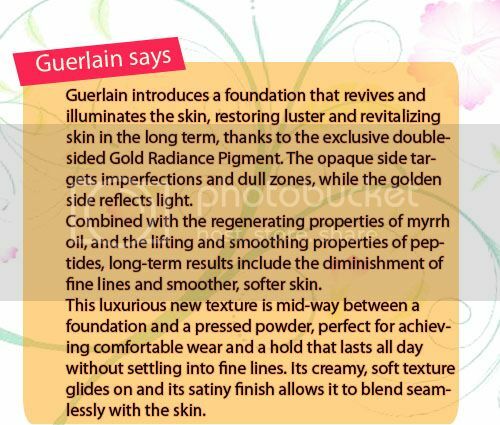 Since the fling season is upon us, let me share with you one of my summer make-up essentials: Guerlain Parure Gold Compact Foundation. It's a perfect fusion of cosmetics and skin care. 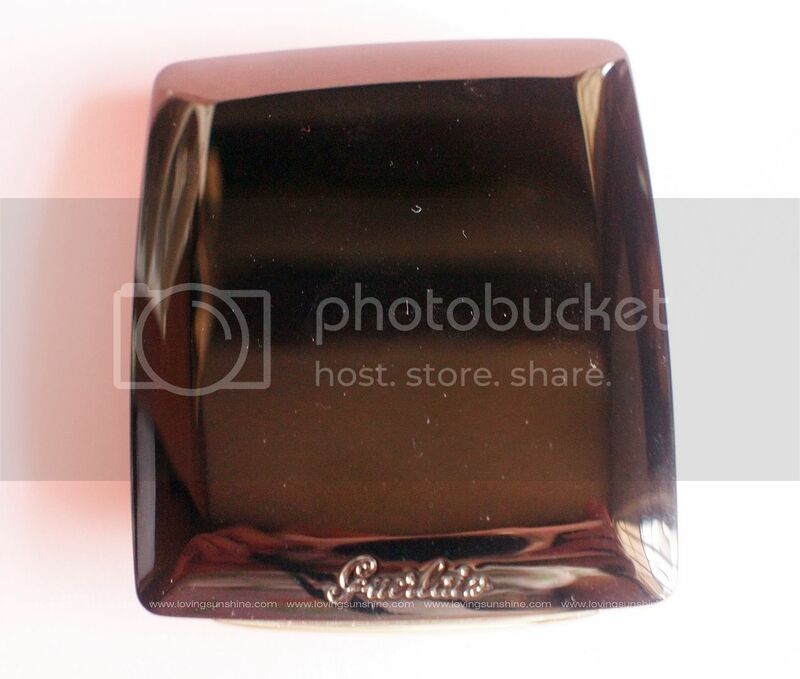 The compact comes in Guerlain's signature velvety pouch. What I realized about this product, is as an item itself, it's a statement piece. The packaging is bold with its minimalist yet sleek shape and cut. It is also a deep black metallic case with a golden touch--but as you can see, when light hits it, it shines like a priceless gem. It takes "compact" to a different level too. 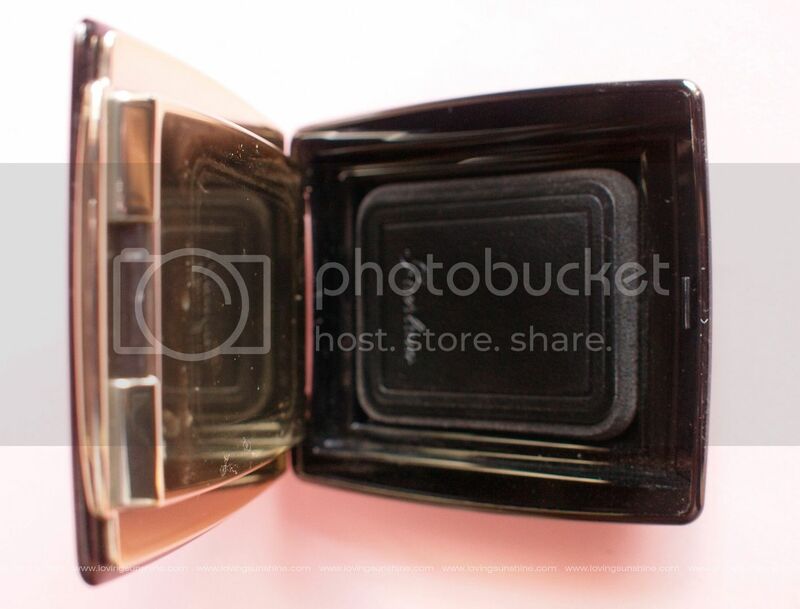 It has a slim packaging, the compact mirror is endless and it had a sponge compartment that is sanitary, organized, secured and neat. 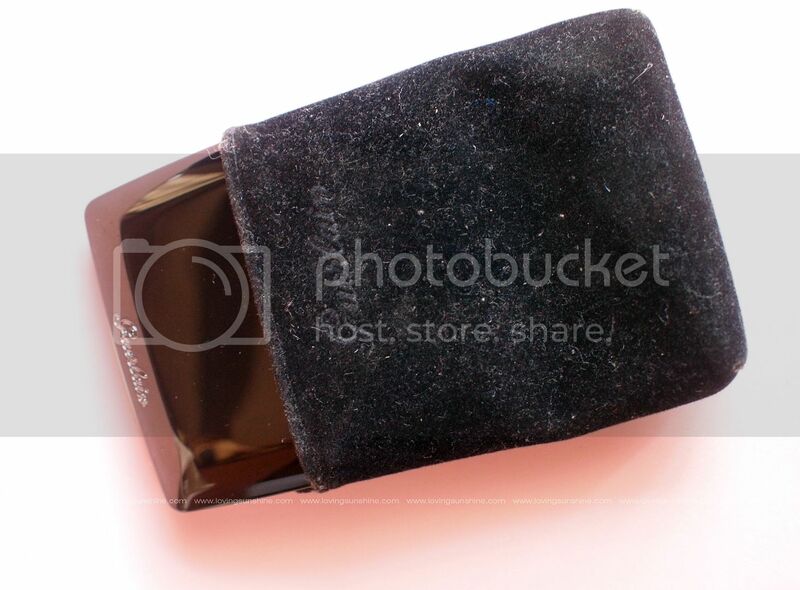 Here are photos of my own powder. Flip it open and you'd find the sponge compartment. 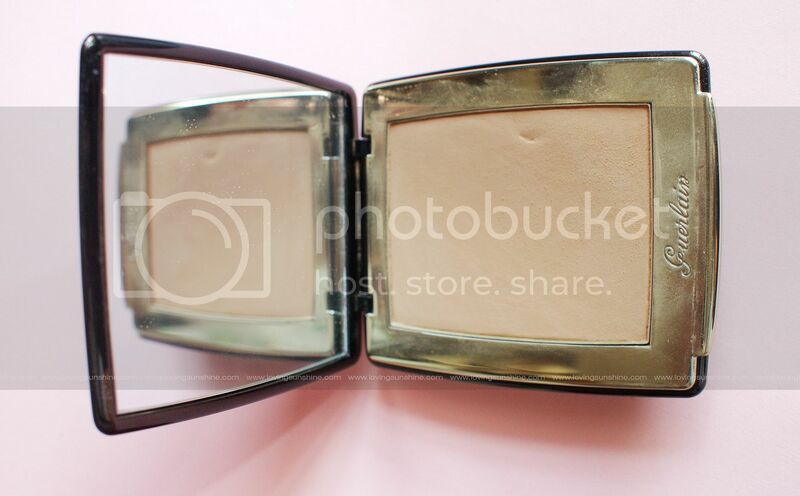 As a powder foundation, I really appreciate how it doesn't break loose from the pan whether I use a sponge or a brush. 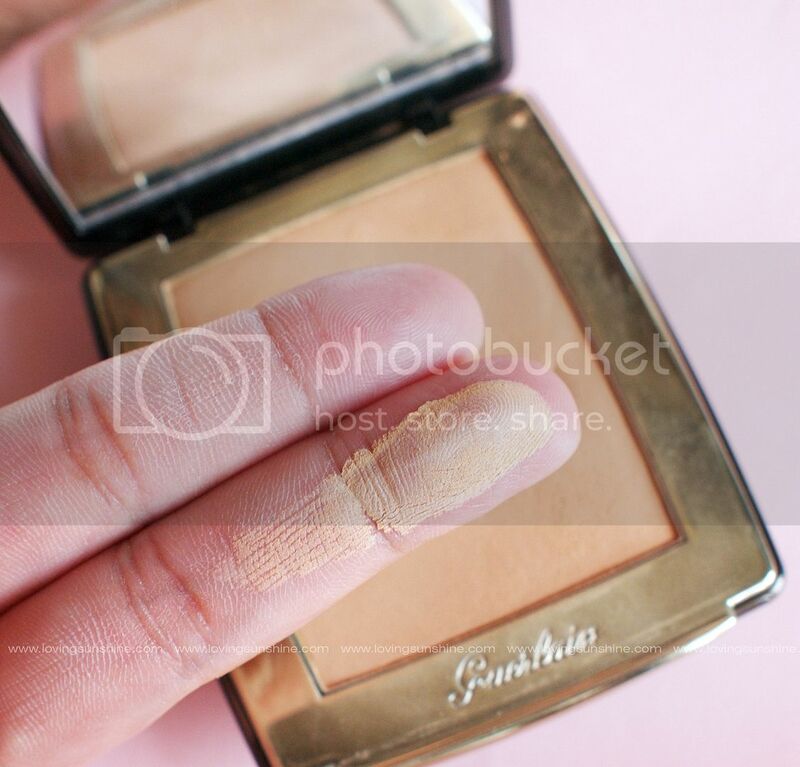 For fuller coverage, I would recommend you use the sponge that comes with the compact; but since there's more to Guerlain's Parure Gold Powder Foundation than just being a foundation, you should also give it a try as a finishing powder. 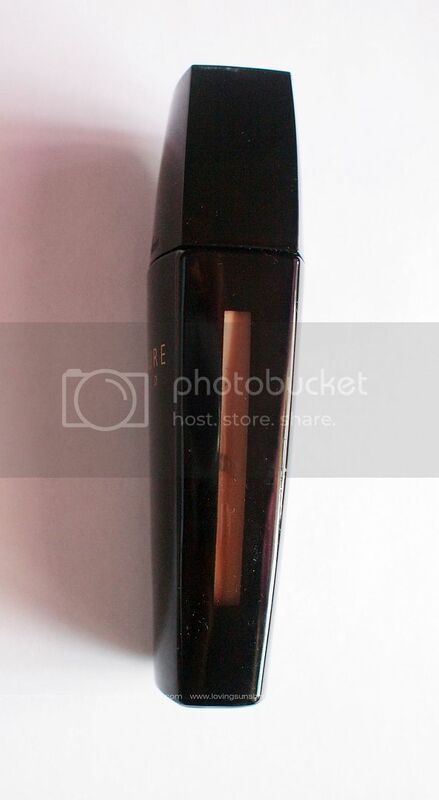 Simply use a brush and dust off the product all over your face to set make-up. It works absolutely effortless and great! 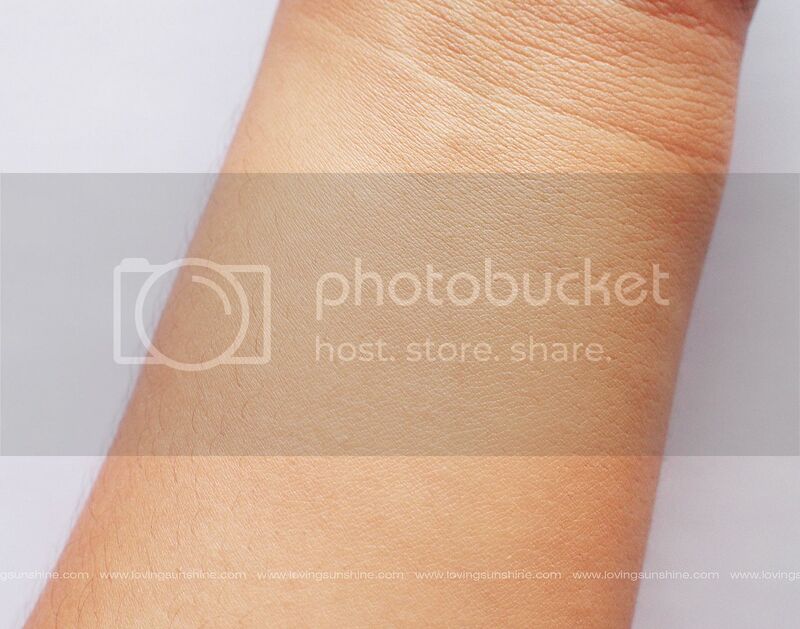 The most outstanding thing I noticed about the powder foundation is its silky texture. 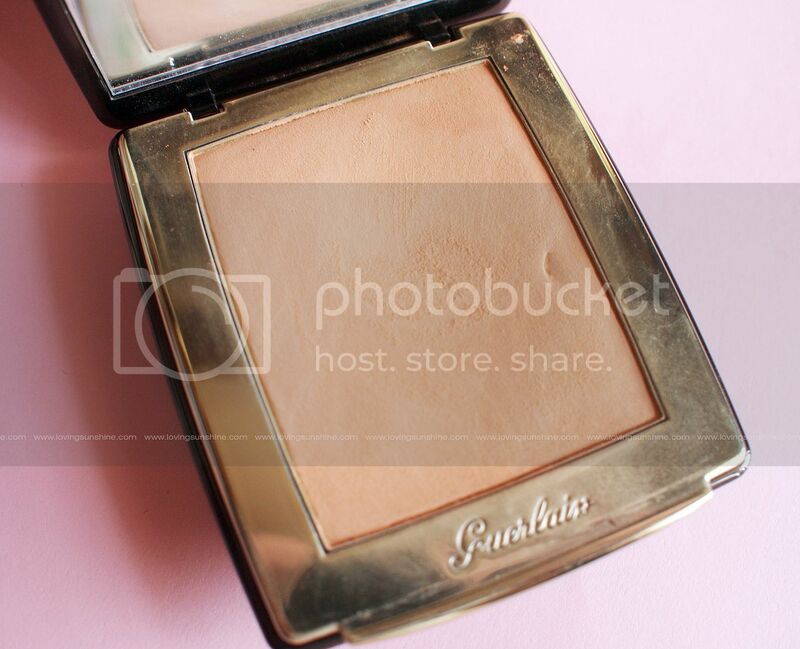 I can assure you that it doesn't cake and that it feels light and blends to the skin perfectlty. What I don't like about this product is price--then I remember how we can't put a price on beauty, so I think it's a challenge I'm willing to take. 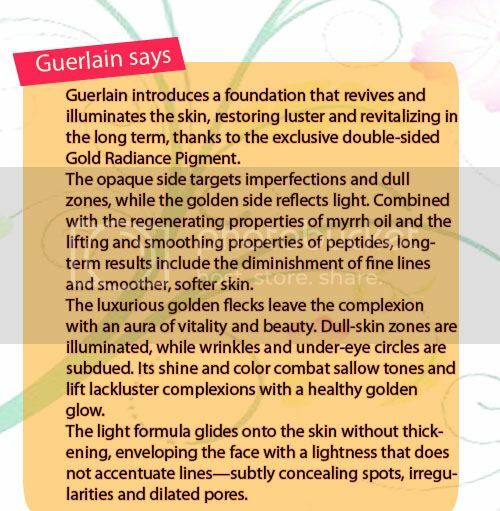 Parure Gold foundation also comes in a liquid foundation format. I find that the liquid foundation has better coverage compared to the powder format. 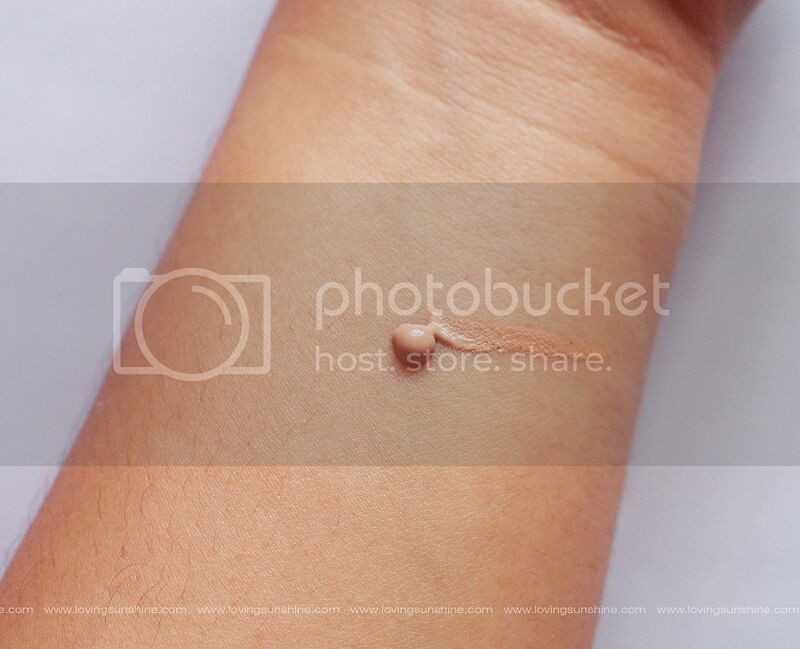 A small drop of product looks like this. That's what you get from very very gently pressing on the pump. 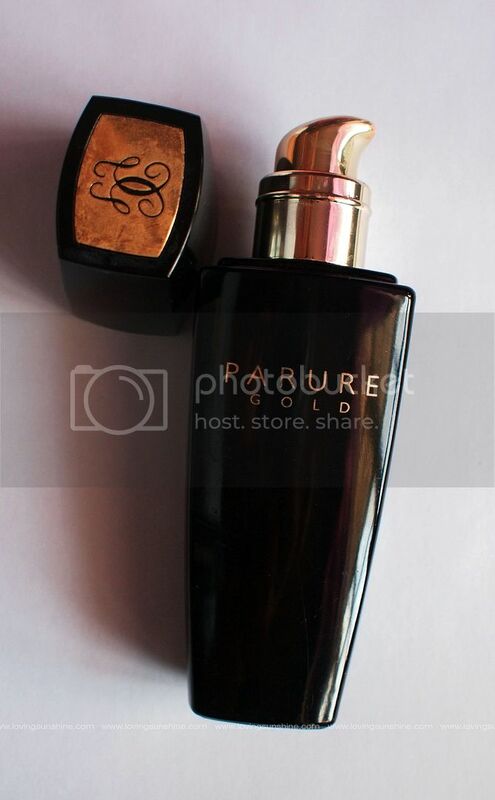 You shouldn't pump all the way as the pump dispenses a lot of product and a little goes a long way for this foundation. The foundation's consistency was thick but not heavy. It was a bit heavy though. The bottle was just divine and precious on its own. It is a timeless black case with golden details. So elegant. Both foundation formats are great and I find that the powder foundation is more fit for the day while the liquid foundation is great for the evening, with its luxuriously scented formulation. Those who have super sensitive might take the fragrance against the product so I would recommend you stick with the powder, which has a lighter touch of it. All in all, I also liked the powder format more especially for summer since my skin's bound to get oily. 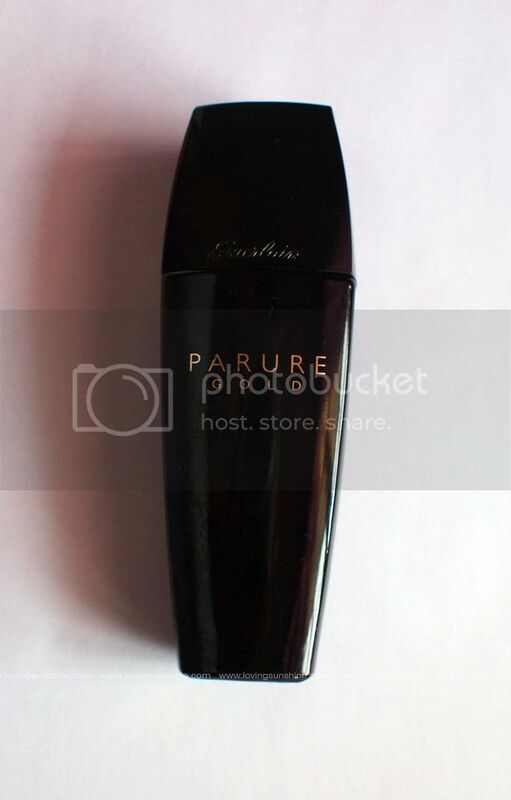 Gotta love Guerlain. If you're from the Philippines and you want to experience more of their products, do visit their counters at Rustans Makati or Rustans Shangrila. Internationally, you might want to check out this sale offer for Parure Gold Rejuvenating Golden Radiance Powder Foundation SPF 10 - # 13 Rose Naturel - 9g/0.31oz . How about you, what are your golden plans this season? Here's a nice little song to listen to while relaxing by the beach. Don't forget to join my Summer giveaway. Compact face powder and foundation r must haves for every woman.It always gives our face a refreshing look even if we're haggard or tired..I think u give a gud review abwt da product but as a class D consumer,i dont spend 2 much on expensive make-ups.I also read make-up reviews on mags like cosmo.But since,u made a gud review and said u're using it..i'm having a 2nd thought to try dis one..More power,Good luck & God Bless u!